THE SMS85, from EDAC Electronics , is a reliable, compact, cost-effective wireless data logger, alarm and control unit suitable in any application or environment, that can save time, money and manpower. Using the SMS85, there is no need to travel to a remote site simply to check whether equipment is still working, to retrieve data or to turn a device on or off. Now all this can be done directly from a mobile phone or computer. If a fault condition occurs, the SMS85 will report it. The system works wherever coverage by the GSM, CDMA mobile network, or a standard phone line is available. Any industry, any application - monitoring levels, flows, temperature and pressure, monitoring water quality in cooling towers, large food distribution complexes, remote locations using solar power, primary producers - chicken breeders, vineyards and fish farms, agricultural usages - frost monitoring, sudden weather changes, flood warnings. 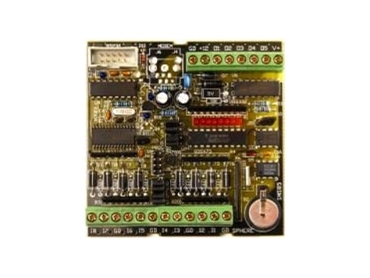 The SMS85 is a very flexible 8-input/5-output controller, which can be used to remotely monitor and control a wide range of systems. Alarms generated by the SMS85 can be sent to a selectable number of mobile phones using SMS. A mobile phone can detect status of all inputs and outputs; even turn outputs on and off and change alarm telephone numbers simply and quickly. Logged data can be saved to a Microsoft Excel compatible .csv file. An alpha numeric PIN provides security from unauthorised access. A dial up connection can be made using a standard modem attached to a PC. A GUI provides a simple and intuitive way to configure the SMS.